When it comes to dental care, making sure your gums remain healthy is a top priority. That’s why dentists go above and beyond when showing patients the proper steps for addressing gum disease, whether that involves daily flossing or regular cleanings. Chinook Family Dentistry offers the following advice to ensure their patients experience optimum oral hygiene. When brushing your teeth, make sure you’re doing so twice a day for at least two minutes at a time. Flossing is also important because it removes plaque you may have missed while brushing. Start by wrapping a string of floss around your pointer fingers, and gently move it up and down between each tooth. Take caution when flossing along the gum line, as you might do damage if you floss too aggressively. Certain foods contribute to dental plaque. For instance, sugary drinks and treats feed the bacteria found in plaque, which will speed up tooth decay. Steer clear of foods and drinks with a lot of sugar and make sure you’re getting enough vitamins and nutrients. Vitamins A and C are particularly beneficial for fighting gum disease because they help boost your immune system and facilitate faster healing. While at-home care is important, you will need a dental exam to monitor ongoing problems and prevent further issues. A teeth cleaning helps remove plaque from hard-to-reach areas, which decreases the damage caused to gums. Additionally, your dentist can offer helpful oral care tips to ensure your gums remain healthy over time. Gum disease is reversible in its earliest stages, so being proactive certainly helps. If you’re concerned about gum disease, scheduling an exam at Chinook Family Dentistry should be your first step. Dentists Dr. Richard Lathrop and Dr. Lisa Symonds provide local patients the benefit of more than 35 years of experience. 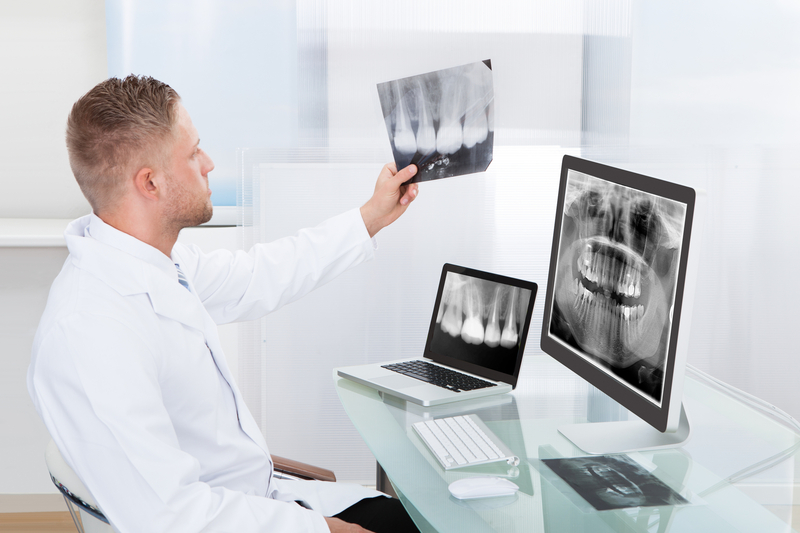 They will identify dental issues and provide effective solutions, ranging from regular teeth cleanings to tooth extractions. Call (907) 272-8422 today to schedule an appointment at the Anchorage office, or visit the website to send a message.